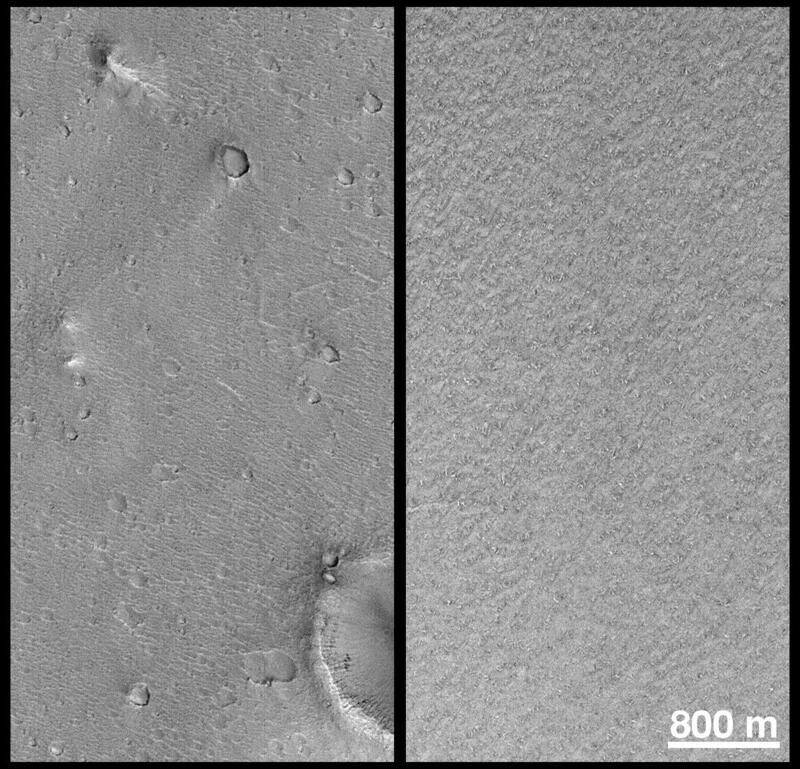 This figure shows a comparison at the same scale (about 5 meters--16 feet--per pixel) of the 1997 Mars Pathfinder landing site (left) and a representative portion within the primary landing ellipse designated for the Mars Polar Lander (right). Familiar landmarks at the Mars Pathfinder site include the "Twin Peaks" (center left), "North Peak" (top), and "Big Crater" (lower right). The south polar layered deposits are generally devoid of the large craters and hills seen at the Pathfinder site. 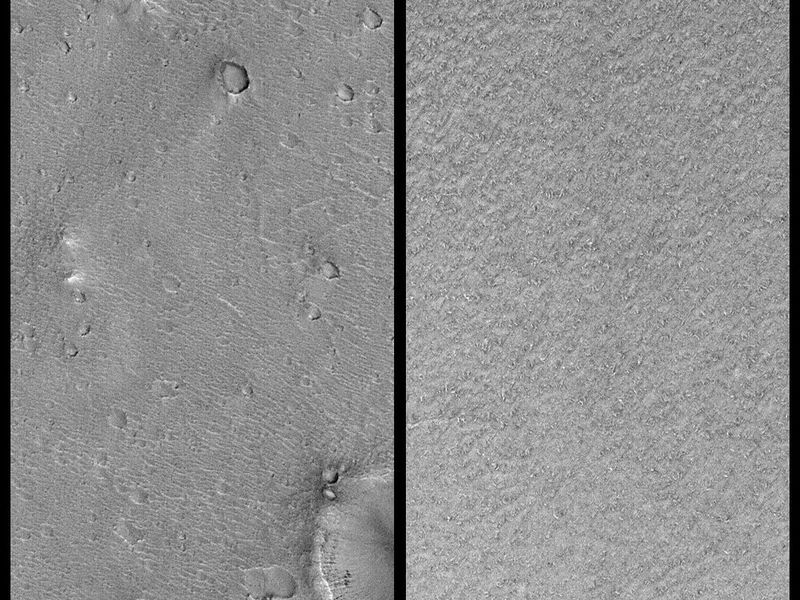 The "wavey" texture at the Pathfinder site (the result of the movement of sediment by the large flood that swept through that location billions of years ago) is replaced at the proposed Mars Polar Lander site by a random arrangement of very low ridges and grooves that suggest the surface has been exposed to erosion by ablation of ices. 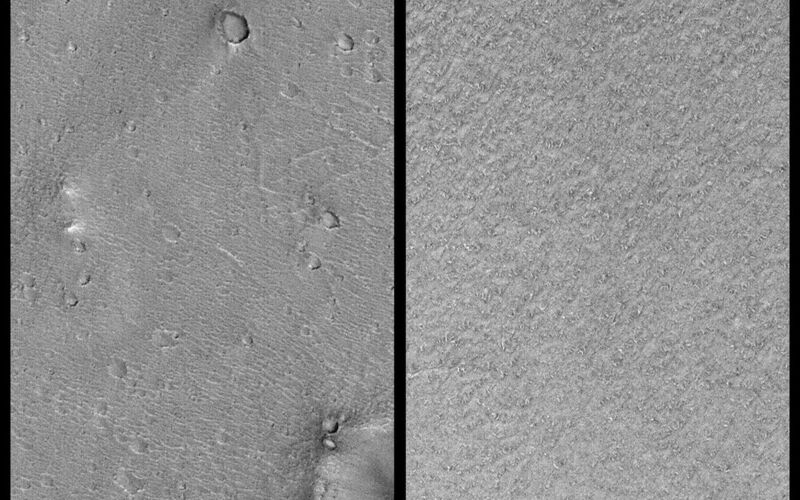 When the picture on the right was taken, the surface was still mostly covered by winter-time carbon dioxide frost. However, as the sun rises higher, the carbon dioxide frost sublimes (goes directly from solid to vapor), creating the dark spots that are just barely visible in this image. 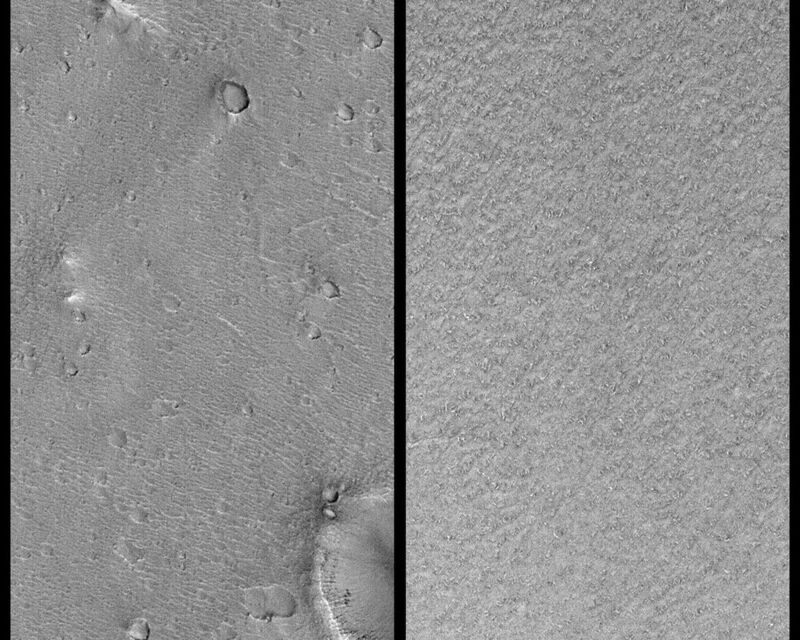 Illumination is from the lower right in both pictures.